Think about a time you were in the middle of something – doing a job or working on a project, the only thing you wanted was to stop doing that thing. Have you ever felt as though what you really wanted was to quit whatever you were doing, but for whatever reason, you just couldn’t? If that’s the case, then you can really identify with the story of Elijah. We’ve only read a portion of his story this morning, but let me tell you that he is THE prophet of God in the Old Testament. 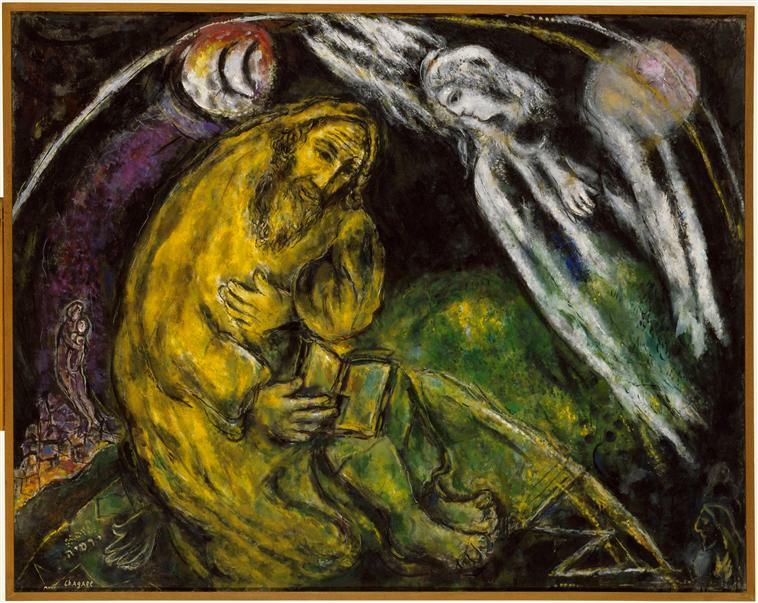 There are no books that bear his name, but Elijah is the one to whom people are looking when they want to know what the Messiah will be like. Elijah is HUGE in the Old Testament. In our reading, we meet Elijah as he’s fresh from the biggest victory of his prophetic career – and that’s saying something. He’s been at Mount Carmel, where he’s challenged the pagan-worshipping leaders of Israel to a prophetic duel. There were 850 prophets of Baal and Asherah who were defeated by the power of the Lord. 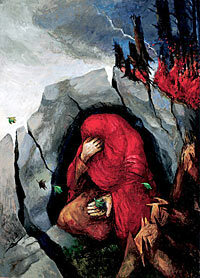 Elijah presided at a mass conversion of the Israelites back to the way of the Lord. God’s power was displayed in a mighty fashion. It was amazing. And then the Queen of Israel finds out about it, and she sends Elijah a death threat. He throws up his hands and heads for the wilderness. He tries to quit his job as a prophet – he asks God to take his life. He’s burnt out. Take a look at Elijah here – he sounds like he is dealing with a classic case of depression. He brings his complaint to God, and he seems to forget everything that’s just happened. “I alone am left,” he says. He overlooks the mass conversions, the incredible demonstrations of God’s power. “They want to kill me,” he says. After the fireworks, there’s a silence and a calm — and that’s enough to draw Elijah from the cave. But look at him. He’s still hiding – wrapping himself in his scarf, hiding his face. He’s still miserable – he repeats the exact same speech to the Lord. He’s unchanged by the very appearance of God! Have you ever been depressed and someone has tried to cheer you up? Someone has tried to talk you out of it? Doesn’t work very well, does it? Look at what God does with Elijah. He listens to the little speech. He doesn’t argue with the Prophet. But he doesn’t let him quit, either. He gives Elijah a new mission – to anoint the kings of Aram and Judah. He gives Elijah a new partner – Elisha. He promises that there are at least 7000 faithful servants who have not bowed and worshipped the idols. Now you could say that God not only doesn’t let Elijah quit – he puts him on a committee! But I prefer to say that God shows Elijah his place among the people of God. He reminds him of the fact that he belongs to God – and to God’s people. Now, if we flip ahead to the New Testament reading, you’ll see that there are fireworks here, too. Last week we spent the Sabbath remembering all that happened on the day of Pentecost. There were tongues of flame resting on the heads of the followers of Jesus. People were given the gift of speaking in new languages. 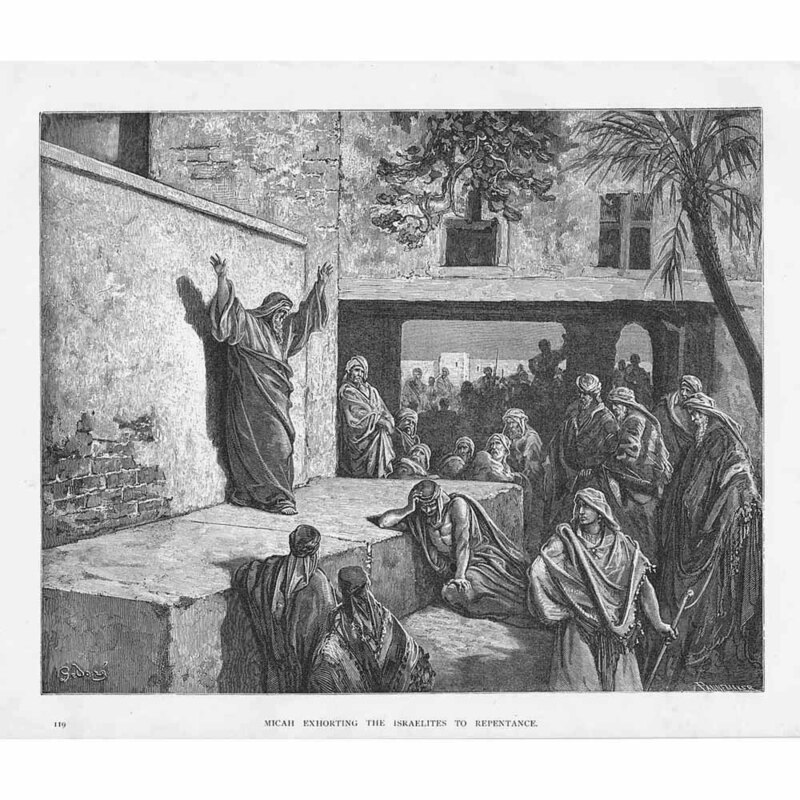 Peter preaches a powerful sermon, and more than 3000 people are converted that day. And Luke could have stopped the story there, but he didn’t. Luke goes on to tell us that after the fireworks, those who believed in Jesus were regularly gathering for teaching, fellowship, shared meals, and prayer. And what happened is that God used this time after the fireworks to change the church. What had been a group of a couple of dozen followers of Jesus who were scared to death slowly changed into a community of vigorous believers who found their identity as being the People of God. They came together for teaching, fellowship, shared meals, and prayer — and found that God had transformed them into the Body of Christ. After the fireworks of Pentecost had gone off, that Body continued to be together. They continued in faithfulness, even when in the days after that outpouring of the Spirit their leaders are arrested and jailed. They continued to meet together, to dwell together, and share life together. So what? What is the application for those of us who are seeking to be faithful Christians two thousand years later? Is it just me, or did many of you come into this room because of, or after, the fireworks? I know, you weren’t up on the mountain and you didn’t live through the windstorm or the earthquake or the firestorm; I know you didn’t all of a sudden start speaking in other languages. But you’ve seen fireworks, all right. Some of you are here because you had a baby, once upon a time, and you figured that God’s hand was in that and you ought to figure out what it was all about. Some of you are here because a marriage started, and you wanted to start if off right. Others of you got here because a marriage ended, and you were looking for God’s presence in the midst of that firestorm. I think it’s safe to say that there are a lot of us who are here because of the fireworks. The question is this: are you in the room, or are you in the family of God? Are you a part of the furniture, or are you a part of the body of Christ? For a while, we’ve been easing out of the “high holy days” of Lent and Easter. Pentecost marked the last big holiday in the church for a long time. From here on in, we’re in “ordinary time”. Time that is given to us to discover what it means to be a faithful disciple of Jesus Christ as we go through the ordinariness of our lives. I would suggest this morning that one of the core truths of scripture is that consistent investment with and involvement in the body of Christ is essential for faithful living. What does that mean? Well, it means that being here is important. That it’s important for us to be together in worship, as we are now; it’s important for us to be together in study, as we were during FaithBuilders and as many of us are at other points in the week; it’s important for us to be together in the business and administration of the congregation in venues such as the Preschool Board or the Congregational Life committee. I know that your living room sofa is far more comfortable than these pews ever will be. And I’m pretty sure that your TV room is a lot cooler than this old building is right now. You can get a better preacher by turning on the television or checking out YouTube. Our music here isn’t bad, but let’s be honest. If it’s sheer talent and performance you’re after, you’d be better off visiting iTunes. I was convinced it was a worship service that changed lives. I still believe that. But he wasn’t here to experience it. He didn’t see the face of the soloist as she led us in worship. He couldn’t see the faces of the people listening to the choir. He didn’t see the Jr. High students paying attention to the sermon. He had the recording, but he wasn’t in worship. There’s something about being together with a group of believers that makes all the difference in the world. You could find more comfortable seats, better preaching, and more quality music in other places, but you’d miss something essential to faithful living — you’d miss being able to participate in this part of the body of Christ. Yes, you are, but now you take a look. I’m not really preaching to the whole choir, am I? There are some empty seats. There are people missing. Yet the Word of God tells us that we are one body. That we belong to Christ, and that we belong to each other. Who is not here this morning? Why aren’t they here? And do you realize that we are diminished by their absence? Oh, it’s not about the numbers. Sure, our numbers would be higher if everyone was here. But it’s much more important than that. Scripture tells us that people who belong to Christ and to each other spend time together doing things like teaching, and fellowshipping, and sharing meals, and praying. And if a significant number of us start behaving as though our presence or absence here is insignificant, then we’ll lose our ability to really behave as the body of Christ. And if that happens, then we’ll find that we are not effective in the ministry to which the Lord calls us. And if that happens, we will find that we succumb to the same depression and alienation that threatened Elijah’s ministry. So what am I asking you to do, my friends? Two simple things. First, I want to encourage you to be here in worship each week. If you’re not traveling and you’re not ill, then you ought to be here. Because worship is different than anything else in your life. Going out to brunch or playing in a sports league or getting a head start on your shopping are all things that you do. Worship is where you find out who you are. The culture will tell you that it’s one item on the menu of choices that you’ll make this week. And I’m telling you that if you lose your connection with the Body of Christ, none of your other connections will have much relevance or impact. So will you be here – not for me only, but for you, and for those other members of the body in which you share. Tell them that you miss them. Because we do, you know. We are called to an incredible mission. We are given a great responsibility. And we can’t do it without everyone being represented. It is one we share as the body of Christ in this place at this time. Right now, you might not even know why you miss that person; but I pray you’ll have a chance to discover her gift or his ministry as they have the opportunity to share it here, with the rest of the disciples whom God has called in this place. Be here. And look for those who aren’t. Amen. As we continue our exploration of some of the “call” stories in scripture, we also celebrated the baptisms of two children in worship on April 26. With that in mind, it seemed wise to be attentive to the ways in which God’s call became apparent in the lives of Samuel and Timothy. Scripture readings for the day included I Samuel 3:1-11 and II Timothy 1:1-7. When someone with a testimony like that hears a series of sermons on calls to faith, the accounts of the Apostle Paul, who was knocked onto his keister on the Damascus Road, or maybe Moses, who was stopped short by the burning bush, come to mind. Some of our favorite stories – whether in the movies or in real life – are experienced when a “bad” person comes clean and turns over a new leaf. There is powerful drama, to be sure, and also an encouragement for the people who love those who are in a hard way right now. The good news that comes from stories like that is that our God is an interrupting God. Nothing is finished – we see lives that are in progress, but always interruptible. As we come into worship this morning, however, we are met with readings about Samuel and Timothy. In addition, we join the church of the ages in the practice of infant baptism. As we do these things, we point to the fact that while sometimes our calling from the Lord is sudden and dramatic, at other times it is gentle and continuing. Before we engage Makayla and Isaiah in the sacrament of baptism, let’s talk for a few moments about the scriptures that we’ve heard and the things that they teach us about God’s call and our role in it. I’d like to point out that there is an intentional, loving, non-biological connection between both Samuel and Eli and Timothy and Paul. In each of these cases, the mentors are brought into a young person’s life and choose to remain there. 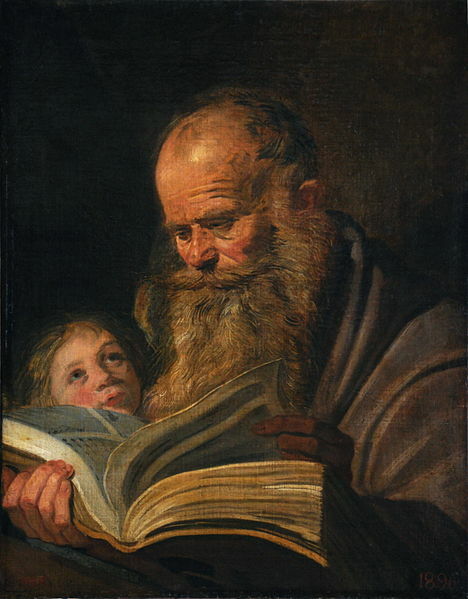 The earlier chapters of First Samuel describe the remarkable circumstances surrounding Samuel’s birth and how his mother, Hannah, brought him to the Temple as a child in the hopes that he would be instructed in the ways of the Lord. Timothy was a lot older when he first met Paul, although their initial meeting in Acts 16 makes it plain that Timothy was clearly the “Junior Partner” in this relationship. In both narratives, however, it’s plain that the more mature believer makes it a priority to give some of his best time, energy, and wisdom to the younger. Undoubtedly, some of this was formal instruction. Perhaps more importantly, however, was the fact that both Samuel and Timothy spent time simply being with these older people. Sure, they sat and looked at the scrolls together, but I bet they spent more time cleaning the Temple or walking on the road or engaging their communities together. In Mark 3 we read that Jesus “appointed twelve that they might be with him…” The best and most important thing that Eli and Paul did for Samuel and Timothy was to invite these younger men to simply be with them in the daily exercise of their faith in life. Another key aspect of mentoring that emerges from our readings is seen in the coaching that Eli gives to Samuel. Samuel’s hearing is fine – he’s not in need of any assistance in that department – but he needs Eli to train him to be a listener. Part of a mentoring relationship is helping another person to process information and experiences that are unfamiliar. I love the fact that in this passage, Eli does not attempt to explain God to Samuel. 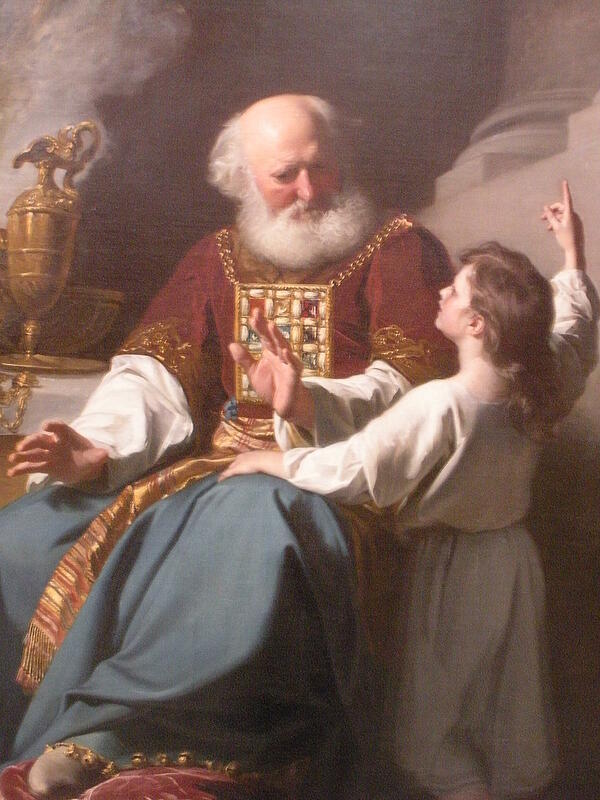 Eli does not presume to know what God might say to the boy, and go ahead and save everybody a little time and effort. Instead, Eli shows Samuel how to put himself in a position so that when the Lord does choose to speak, Samuel can listen and respond to that call. Effective mentors and role models know the joy of open-ended questions. I love to sit with someone and say, “Well, do you see anywhere in this situation where God might be moving?” One of the coolest parts of being a spiritual friend to someone is that you get to ask questions to which you don’t already know the answers. 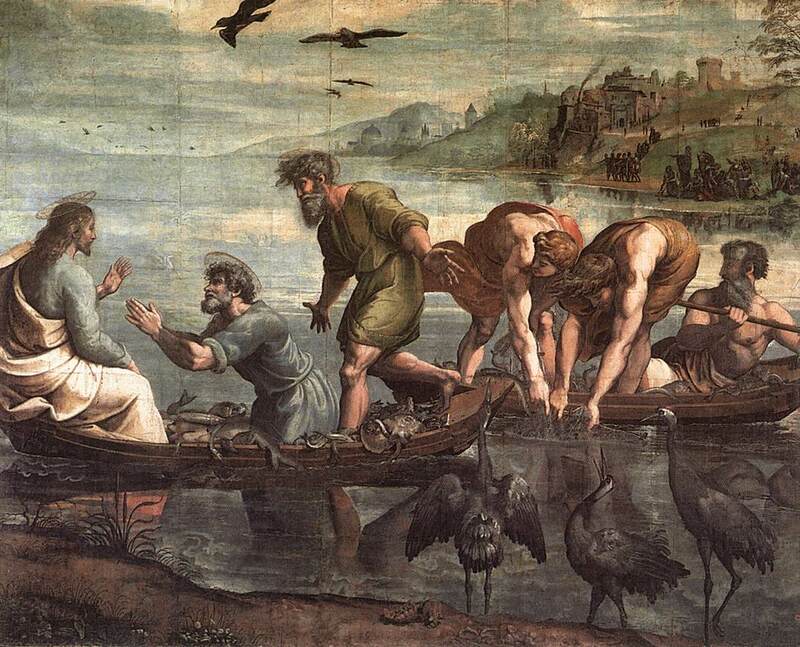 Both Eli and Paul realize that God’s call and movement through history is linear. That is to say, God is not static. God does not call to everyone in the same way, asking them to be in the same place doing the same thing. Eli and Paul had received callings from God in the past, and they honored those calls. Now, they are charged with helping Timothy and Samuel discover meaning and purpose in their own callings. In Eli’s case, it turned out that a part of Samuel’s call was to deliver difficult news about Eli’s own family. In Paul’s case, it turns out that Timothy was being formed to do something that Paul could not have done – whereas Paul’s life was spent on the road, wandering from one community to the next, Timothy became anchored to the church in Ephesus and apparently spent several decades leading that community. Like the best parents and friends, effective mentors and role models allow learners to become who they are called to be, rather than seeking to shape them into mere copies of themselves. When we think about the ways in which generations interact in our world, one image that comes to mind is this: the parent or leader standing with an arm around the child or subordinate as they survey the home, the farm, the business, and saying, “Some day, all of this will be yours…” And when it comes to running the family business or keeping the family farm, there is a certain romantic appeal, or even nobility in that thought. But God forbid that the church raise up a generation of people who are nothing more than curators of the museum or custodians of the present. The task of the church is not to pass on the existence that we now have, but rather to equip God’s children for the future in which God is already at work. We dare not spend our time and energy seeking to mentor young people who are so intent on preserving a memory that they spend their lives looking backward. Our call is not to leave a legacy of an unchanged church – but to raise up disciples who are able to be faithful in the days that are to come. “As it was in the beginning, is now and ever shall be…” is a sentence that refers to the unchanging goodness and presence of God, not a strategy for church structure and administration! How do we do that? By being mentors and role models for them. By looking after them and looking out for them. There are a lot of things that these children need now and in the days to come, but I’d like to mention just three of them. First, children need to be safe. When they are in our care, we have got to promise that we will do all that we can to ensure that no harm will come to them as a result of our negligence, passivity, or failure to create adequate supervision and protection. More than that, however, it means that we will do what we can to ensure that the children whom the church is willing to baptize are children who are fed, and bathed, and clothed, and housed with some dignity. It means that we will work as citizens of this community, this nation, and this world to see that justice is not merely a concept to which we pay lip service, but a reality in the lives of the children in this room, in this neighborhood, and indeed around the world. In the context of that safety, it will one day become appropriate for us to make sure that these children are stretched. One of the most important thing that a spiritual friend or adult guide can say to a young learner is, “OK, now you do it.” Whether it’s running the power saw on a mission trip, learning to drive stick shift, praying out loud with a friend, or leading a devotion for the group, we let our children down if we continue to do everything for them, or if we expect that they will be interested in doing everything exactly the same way that we have done. When children are safe and have been stretched, then we begin to think about the day when we will teach them to see themselves as sent. I do not mean to suggest that everyone will be called to a different geography, but it is important to understand, and to help them understand, that every time we get up from these pews and cross that threshold, we are being sent into the world that Christ is redeeming. The Church of Jesus Christ is not a voluntary assembly of those who are content to wander from fashion to scandal to amusement, but rather we are a company of saints who are invited to participate in the ongoing mission of God in Christ in the world. If you’ve been around church very long, you know that there are a lot of programs designed to keep kids safe, to challenge them to be stretched, and to encourage them to think of themselves as sent. Some are produced out by insurance companies, others by curriculum publishers, and still others by great missional enterprises. But none of those programs means a rat’s patootie unless the safety, stretching, and sending of our children is anchored in relationships with real-life Elis and Pauls and mentors and role models who will help them to hear when God is speaking and to understand what that means. Earlier this week, the morning news featured a story describing a ravine that has opened up along the Delaware River in New Jersey. Apparently, a storm sewer drain beneath this property has been leaking for years, weakening the hillside until this week’s collapse. It sure looked like a sudden event, but it has been happening for years. Across the country, there’s a little stream called the Colorado River. 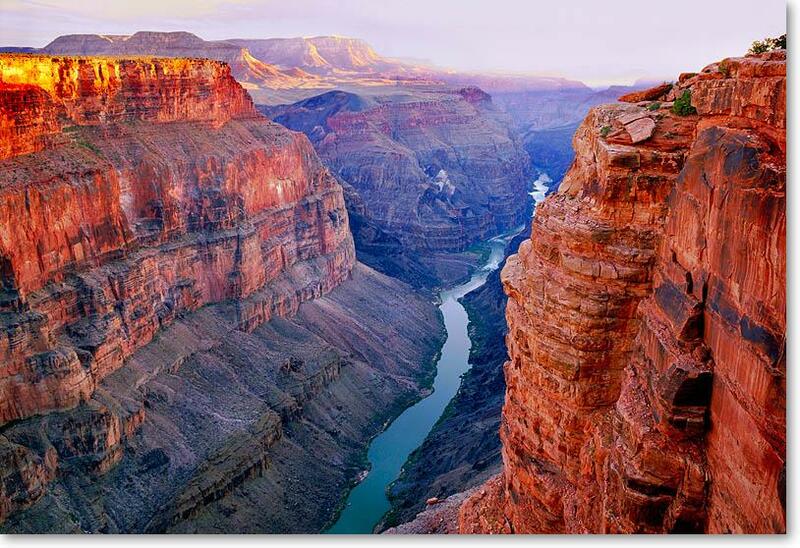 It’s been so dammed up and diverted for other purposes that it doesn’t even reach the ocean any more, but over the years, that water opened a stretch of the planet that we know as the Grand Canyon. In contrast to the sinkhole in New Jersey, the Canyon has been very visibly developing, very gradually for thousands of years. 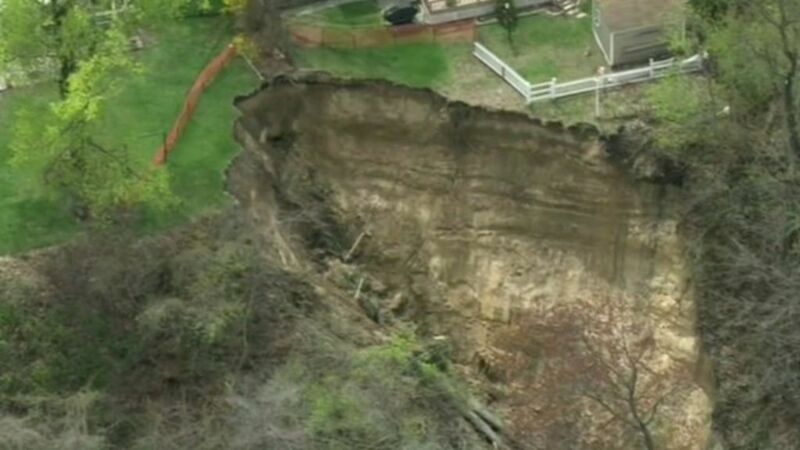 The same thing has happened in both New Jersey and in Arizona – water has eaten away at soil and rock and left a hole. It has happened in different ways, but it has happened. In the same way, sometimes the call from God is experienced in a sudden and dramatic fashion, and other times it seems to be the result of an ongoing process. The root cause in either case is the same – we respond to the grace of God that is always at work in our lives and in the lives of those we love – even when it is not always easily apprehensible. We can’t control that call – how, or where, or when it comes. But we can promise to our children, ourselves, and each other that we will do all we can to teach our young people a thirst for the Holy so that when the call is heard, they will be in a position to respond to it to the glory of God and for the benefit of their neighbors. Thanks be to God! Amen. What happens when you hear your name being called? This spring, the folk at Crafton Heights Church are examining the ways that God has called to God’s people in the past… in the hopes that we might be attuned to those calls as they come today. The scripture for April 19 included the calls described in Isaiah 6:1-8 and Luke 5:1-11. When I was a kid, one of my best friends was a fine young man named Nathaniel. There were lots of reasons to like him, and a few reasons to be envious. One of the silliest things of which I was a bit jealous was his name. This is what I mean: growing up in the suburbs in the USA in the 1970’s, how often do you think I was in a crowd and heard someone yell, “Hey, Dave! Dave?” And how often do you think I turned and said, “Yep?” And then the person who had called my name looked at me with irritation and said, “No, not you. Please. I meant Dave Lock, or David Cummings, or Dave Tang, or…” Carver. Hmph. If it hasn’t happened to you, you’ve seen it. Someone calls your name, or maybe even just points and waves, and you respond, and then it dawns on you that they are talking to or looking at the person over your right shoulder…And you feel like a complete loser. Last week, we began a series of messages that focus in on the call of God, and we said specifically that there are two things on which we can hang our hats: that God is a God who calls and that you are call-able. This morning, I’d like to explore the nature of the God who calls and, perhaps more centrally, our response to that call. Um, Dave, we can’t think of any place in the Bible where that happens. Of course you can’t. That stuff is not in the Bible! Every call of which I’m aware features the same essential pattern. 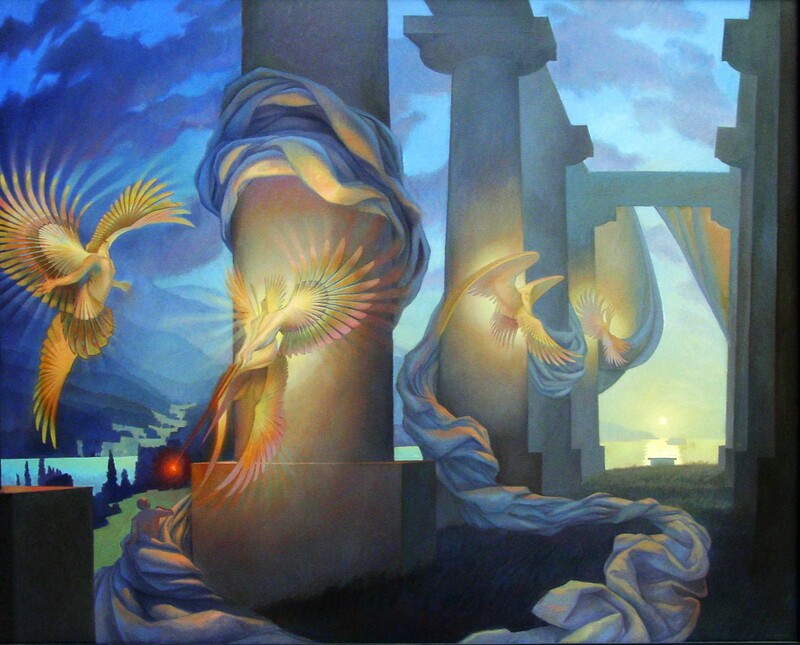 The Lord or an angel shows up, and when that presence is finally noted, the first thing that the divine messenger has to say is “Fear not!”, because people are always so unnerved by the fact that God is actually calling to them. Then, the plan is laid out and the call is extended and with a few notable exceptions, the response is generally, “Uh-oh. Me? Really? Have you thought this through, Lord? I’m not really sure you’ve got the right person here…” And often, the one who is called by God will go ahead and list the reasons why the plan that God has just can’t work in this situation. And as the person is talking about why God’s idea is such a bad one, they are not usually listing excuses like, “Oh, Thursday’s no good for me, Lord. What about Tuesday? Sunday? Oh, no, Sunday is my only day to sleep in…” It’s not a conflict in scheduling that prevents the call from being heard. I’m not aware as to whether you’ve ever been invited into the presence of God, but I am sure that you know something about the Lord. God is love. God is light. God is faithful, right? God is all of those things, and more besides. There is a sense in which I can think of myself as smart, funny, wise, moral, tall, old, or any other adjective. And when I do that, I always measure myself in relationship with the other people around me. I compare myself to the rest of the people in the room and think that I am or am not any of those things. But when the creator of joy, of life, of good, of size and perspective makes himself known…well, then, I’ve got nothing. I am none of those things in comparison with Him. A calling from the Lord provides me with a grounding and an orientation as to who God is and who I am. When I am well aware of who I am, and the ways that I fall short, or am bent or twisted, and yet somehow in the midst of that am somehow useful to God, I can carry out the business with which I’ve been entrusted in a fashion that is marked by humility. When I say humility, I not only mean approaching God with a sense of perspective about where I stand in relationship to God, but where I stand in relationship to you and other people who are also called and loved by God. When I remember that I am not “all that and a bag of chips”, I am more useful to actually accomplish the tasks that God has set before me in partnership with others. Sports Illustrated…$1? How old is this photo? 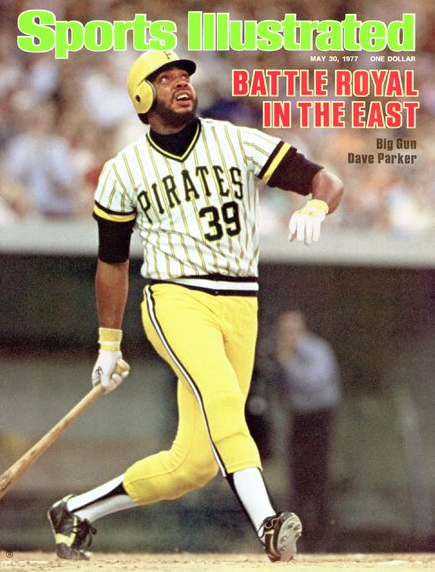 Now, I’m not here to bash Dave Parker, or to take a few of his comments out of context. Rather, I want to use them as a reminder that those who have been called by God have a deep appreciation for the essential goodness, power, glory, and love of God as well as their own brokenness or failure. That leads them to a sense of humility and perspective that allows for growth. I am not aware of a time when the world has ever been changed for the better when a group of high-minded, confident, self-assured, incredibly talented people who knew all the answers showed up and got to work on the rest of us. 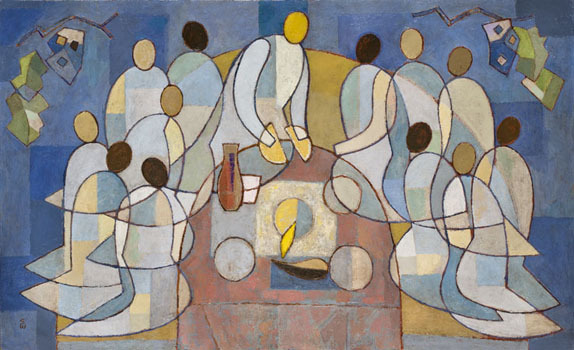 On the other hand, though, think of what Jesus did with a small group of broken-down, second-career people who had been given a glimpse of who he was and of the ministry to which he was inviting them. When we are humble, we are teachable; when we are humble, we are better able to see the gifts that others have brought. God is not calling you to be the star of anything. God is asking whether you will go in his power, with his agenda, into a world filled with people who are every bit as broken as you are. He’s asking if you can see them with his eyes and love them with his love. He wants to know if you can share with them the gift of forgiveness as a starving man shares a loaf with his friends, and to invite them to deepen their own walk with the Lord so that they might encounter God in all of God’s holiness. God did not call me because in all of his wisdom he thought that the world would be blessed by how holy I am. He called me for the same reason that he has called you: so that we might remind people that they are already wrapped in God’s holy presence. So you – yes, I’m talking to you – do you realize that this calling God is reaching out to you? That he knows exactly who you are, what you’ve done, what you’re capable of, and is still calling? That he is calling you now – not the you that you think might show up in four or five years once you get a little more this or a little better at that. He knows you, he loves you, and he’s reaching out. Can you find the voice to say, with Isaiah, “Here I am. Send me.”? By God’s grace – with humility and thanksgiving, you can. Amen. Quoted in Randy Roberts, Pittsburgh Sports: Stories From the Steel City (University of Pittsburgh, 2000), p. 206. In the weeks between Easter and Pentecost, we will be spending some time considering the ways that God spoke to and summoned some of the folks in scripture…and what implications that has for God’s people today. On April 12, we considered the calls extended to Jeremiah and Zechariah, found in Jeremiah 1:4-8 and Luke 1:5-20, respectively. By most accounts, I was doing all right. I mean, no, I wasn’t earning enough money to ensure the complete trust of my wife’s parents, but we had three squares a day and a nice place to live. I was employed as a youth worker, and I was enmeshed in a network of solid and sincere relationships, and there was sure plenty to do. I was doing some writing for a number of magazines, speaking at some regional youth ministry events, and familiar with the national ones. I had a nice placement on a college campus, and was doing a fair amount of traveling. Life was good. And then I got the call to the pastorate. I wish I could say that one day I stepped out of the house and was blinded by the sight of an angel of the Lord, a beautiful creature surrounded by daisies and kittens and unicorns and rainbows. I wish I could say that I was struck dumb by beauty and deafened by majestic music and overwhelmed by a sense of awe. If I was going to be called by God, that’s how I would have liked to be called. That was it. No “Fear not” or “Gloria in excelsis Deo…” Just a couple of guys in a greasy spoon trying to be honest with ourselves and each other. I don’t remember what I said that day, other than sputtering out a few excuses about how I didn’t have the money or the time for graduate school and I wasn’t sure that being a pastor really fit me, anyway. Yet here I stand, thirty years later, wearing a white dress, a gray beard, and a deep appreciation for God’s calling on my life through that man. Last week, we celebrated the resurrection of the Lord, and we pointed to the fact that God would not let even death stand in the way of extending the invitation to follow Jesus to a life that is fruitful and faithful. In the weeks following Easter, I’d like to suggest that we spend some time considering the nature of God’s calling to humanity. Does God send out messages to people? If so, to whom? And how? And why? Our scripture readings for this morning give us two pretty clear-cut descriptions of God’s calling to individuals. What can we learn from these readings? Well, it would appear as though there is no age limit. Jeremiah is summoned to serve when he is just a child, and as he protests, he’s told that God knew him before he was born. While just a boy, Jeremiah is equipped for the task that God has in mind for him. 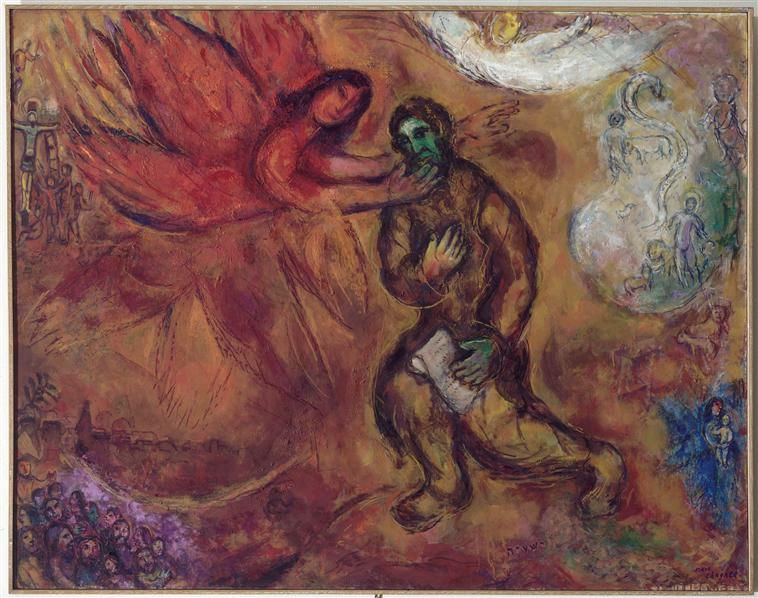 On the other end of the spectrum, Zechariah is an old man when the angel Gabriel informs him that the last years of his life will be spent in a very different fashion than he might have imagined. 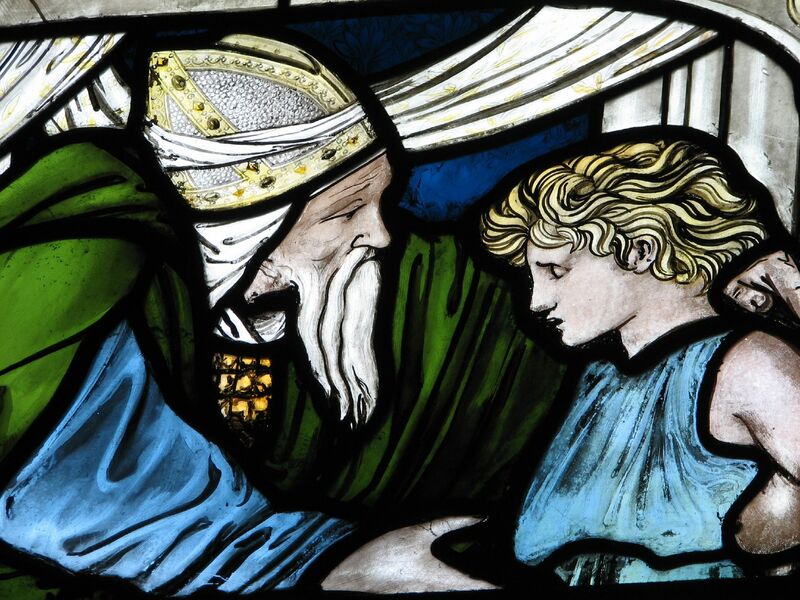 Not only that, but while Zechariah is playing in the big leagues – a priest serving in the Temple in Jerusalem, the first verse of the book of Jeremiah informs us that this kid is from the boondocks – Anathoth is really nowheresville when it comes to Israelite geography. The truth is that when God calls people, not everyone is called to do the same thing in the same place. The one thing for which you can be very grateful as you go to bed tonight is that you are not called to be me or the person sitting behind you. The call is extended to each person in his or her own life. Another truth that comes out as we examine these call stories is this: saying “yes” to God can be very, well, inconvenient. It has often been said that the job of the church is to comfort the afflicted, and that’s true in many respects. Equally true, however, is the fact that when the Lord calls people, he often afflicts those who are comfortable! Jeremiah, for instance, is probably pretty happy with his life. He gives absolutely no indication whatsoever that he is interested in being plucked from a lifetime of obscurity and thrust into the limelight that will wind up with him speaking before kings and generals, alternately loved and loathed by the people he is asked to serve. And Zechariah, too, found the very cozy and predictable confines of his life to be drastically confounded when he was told to start building a nursery. I’m not saying that either one of these men would have wished for another experience – but the truth is that often the call to be God’s person is a call to a road that can be difficult and lonely, to say the least. That, I think, is the essence of any call: The Lord, whose name is “I am”, invites us to be with him. To be for him. To be in him. Even more than God’s calling Jeremiah to a career in prophecy, or Zechariah to the vocation of fatherhood, or smart-alecky Dave Carver to the office of the pastorate, we understand that God’s call is first and foremost from the place or station where we happen to be into closer company with him – and from there, to the next vocation or situation that God has for us. As I have indicated, in the coming six weeks, we will be spending some time in worship considering various places in scripture and our world wherein God calls to God’s people. There are two core truths that I would like you to anchor yourselves to in the time between now and Pentecost, then. remember when Pittsburgh was the “smoky city”? Wasn’t it great before baseball had the designated hitter rule? Didn’t church used to end at noon? No, the call of God is ongoing – it is in God’s very nature to be inviting, summoning and sending; it is in our very nature to be perceiving and responding. And that leads to the other truth on which I’d like you to hang your hat this season: you are call-able. Right now. Right here. At this season of your life. I understand that may fill some of you with joy and others of you with anxiety. Still others of you may greet that phrase with a certain amount of skepticism, but I’m unwavering in my belief that if God can call to me in the depths of a diner in McKees Rocks, God can call to you where you are right now. …then what might that God be saying to this you? God is not finished calling people. You are clearly not where you’re going to end up. My money is on the likelihood that God is calling out to you right now. So what is he saying? How can you hear him? Here’s what I’ll suggest: I’d like to invite you to put yourself in a place where you can be quiet – absolutely and utterly quiet – for a few moments each day. Turn off the phone and the TV. Close your eyes. Don’t think that you have to be reading some incredible theological work or contemplating some amazingly giant idea. Just be. Oh, come on, Dave, you’ve been alone in your study too much! Do you know what my life is like? I can’t even go into the bathroom alone! Do you know what it’s like to have four kids? No, I don’t know what it’s like to be you. But I do know that if you seek it, you will find four or five moments during the day where you can just be. I often find mine just as I wake up, or while I’m waiting for sleep to come in the night. And when you are in that alone and quiet place, breathe. Breathe in as much as you can, and then exhale as gently and as slowly as you can. When you breathe in, simply say, “Come, Lord Jesus. 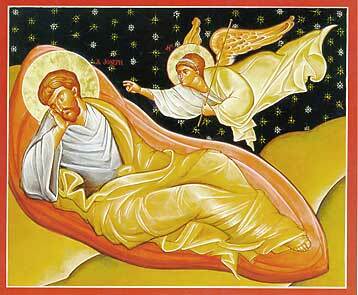 Come, Holy Spirit.” And as you exhale, think “out with worry…away with fear or distraction…” That’s it. Don’t pray “for” anyone or anything. Just be. Every day, for a few moments, just be. And once a week, be here. 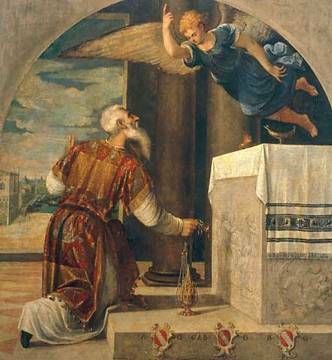 Zechariah found himself called in worship, and maybe you will be, too. Practice coming on Sunday morning as a means by which you can be available to the One who calls. I know, you’ve got softball practice coming up, and the dance recital, and graduation parties. But I bet that you can choose to be here if you want to. Want to. This is a way that you can shape yourself as one who is receptive to the call. And lastly, I know that there are those present who have some sort of a call story already. If you have experienced something of being summoned by the one who rearranged Jeremiah and Zachariah’s lives, then please honor me by sharing that story with me. So let’s be. Let’s be present. And let’s remember that we – each of us – is call-able. Thanks be to God. Amen. The country is a mess. I mean to tell you, there is not one thing that is going right. Politically? Please. No matter where you look, there are nothing but broken promises and unmet potential. Leadership? Give me a break. They say one thing and do another. There is incessant, excruciating infighting between the various parties. Let’s talk about Foreign Affairs. National security is an issue. There is the constant threat of war. Enemies are on the move in places like Iraq, Kurdistan, and Syria. The cost of war is eviscerating any hope for improvements in infrastructure or long-term benefits, and families are crippled by the loss of husbands, children, or property. The Economic scene isn’t any better. One writer surveys the situation and says that there is “a shocking contrast between extreme wealth and poverty…exacerbated by egregious injustices on the part of the elite rich and ruling class against the stalwart [working class]…driven…into a dependent economic status.” The richest of the rich build elaborate homes behind security fences and enjoy every conceivable luxury, while the middle class workers lose property, security, income, and stability. The disparity between the top .05% of the population and the bottom 50% is appalling. And Religion? Don’t even get me started on that one. By and large, public worship is dying on the vine. Nobody has any enthusiasm for it any more. Oh, a few courageous leaders speak out against the horrors of war and terror; they lift their voices against injustice, all right. But almost without fail, those voices are stilled far too quickly: they are martyred or marginalized. There are a few wildly successful preachers who earn a pretty good living by telling anyone who will listen that all God really wants is for you to be happy and blessed. Every now and then you come across an apparently successful congregation that seems to be full of obscenely wealthy people who bring in their offerings amidst a lot of fanfare and adulation. The country is a mess all right. I should say, the country was a mess. I’m not talking about the USA. No, no, no. I’m not talking about 2014. The scene I’m describing is from Israel and Judah in the 8th century BC. All those things I just said are mentioned in the Bible – you know, that really big, really old book that has nothing to say about our lives or the modern world because everything is so much different nowadays? I’m not talking about our culture. I’m telling you about the kind of world into which God sent Micah the prophet. Ha! Failed leadership, constant war, gross injustice, and hollow religion. Like that could happen here, in 2014! Ha! That’s a good one. But try to imagine, if you can, God sending a prophet into a world that looks like the one that I’ve described, and giving the prophet the task of helping people to remember who they are, and to claim their identity as God’s own children…only the people to whom the prophet is sent are not at all interested in hearing that message. I know, I often ask you to do difficult things, and this morning I am wondering if you can even imagine that God is not only longing, but willing to speak a word into a culture that is characterized by failed leadership, constant war, gross injustice, and hollow religion. I am hoping that if you can imagine God doing that once, that maybe you’re open to the idea that he’ll do it again. For five chapters, Micah has thundered God’s judgement on the people for their failure to live in obedience and faith. He has accused and cajoled and encouraged. He has begged and he has threatened. And now, in chapter six, we are presented with a courtroom drama. Verses 1 and 2 introduce us to the cast of characters. The Lord himself is the plaintiff, and he engages the prophet Micah as his prosecutor. The very land of promise – the hills and the mountains surrounding Jerusalem – is called to witness these proceedings. Israel is named as the defendant. Calves a year old are a little more expensive, as they have required a great deal of care, but thus far have offered no labor and no return on that investment. “Thousands of rams” seems a bit excessive, but there is evidence that King David made an offering of that size. “Thousands of rivers of oil” seems an obvious exaggeration, as the typical sacrifice called for a pint or at most a quart of oil. The last offer was to bring the firstborn and offer that child to the Lord – and what “everybody knew” back then was that was exactly the kind of offering that the Canaanite god Molech required. There were altars throughout Israel where people offered their children to the fire god. When I read this, I have in my head an image of one of the junk-bond swindlers from the 1990’s getting up from the defense table, pulling out a checkbook, and paying off a fine for millions of dollars – all the while, eager to go back out and start making money again. Or maybe you remember not long ago when Google was fined $22.5 million for violating the personal privacy settings of its customers…and earned that much money back in about five hours. In all of these cases, ancient and modern, there appears to be no intent to actually modify one’s behavior. No, the “accused” is simply eager to placate those who are upset and get back to business as usual. But here’s the deal: God is not primarily interested in business – not business as usual or any other kind of business. God is interested in you. In me. In us. God is not interested in the conventions of the day: God is interested in relationship. Look back at what God says in verses 3 – 5. When we read that, we see the language of covenant. God describes his history with the people in terms of gift and of personal sacrifice. He reminds them of promise and deliverance and the ways that he has willingly bound himself to his people for their own good, the ways that he has consistently given of himself in every age. Contrast that language with the words that we find in verses 6 and 7, where the people are presented as speaking contractually. In a contract, we see two independent contractors coming together of their own free will. They negotiate an agreement, which implies some level of obligation on every level. A contract is a deal, and property is almost always the most important thing. It’s nothing personal: it’s just business. And again, I repeat: God is not interested in the impersonal. God is not interested in that kind business. One does not sign a contract with the Almighty. That is very good news, my friends. Every day, we ought to be eternally grateful for the fact that God will not give in to our demands that he become a bean-counting, score-keeping, party-of-the-first-part, party-of-the-second-part kind of Diety. Because if we insist on trying to contract with God; if we insist on trying to pay our own way; if we insist that we are just fine on our own and don’t need your covenant, thank you very much… Then we will surely perish. As Paul says in his letter to the Romans, everyone has sinned. Everyone has fallen short of God’s glory. And since a contract can only be entered into by two independent parties on equal footing acting of their own free will, we can’t contract with God. The bad news of the Gospel is that God can’t be bought. 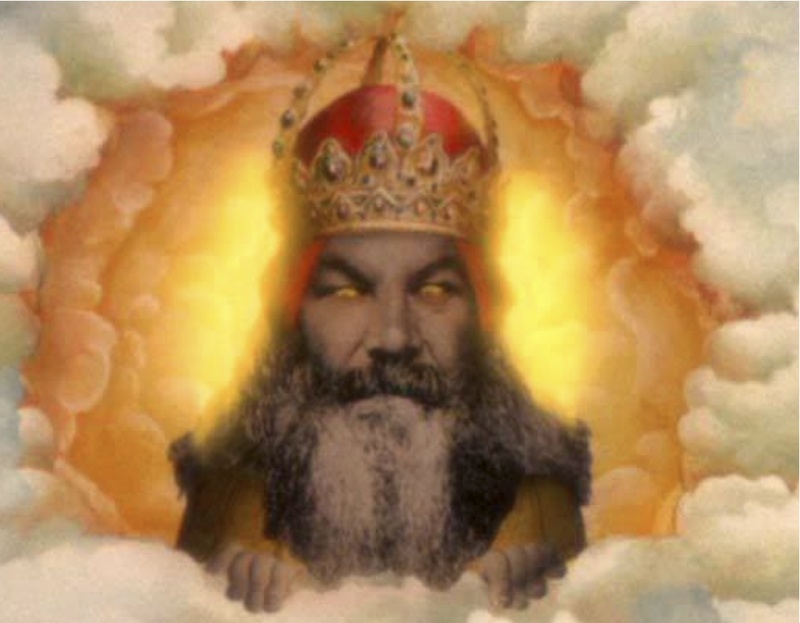 You don’t have enough sheep, enough oil, enough children to make God happy. The Good news of the Gospel is that God doesn’t need your sheep, your oil, or your children. Those are the wrong answers. It’s not about impressing me with the ways that you keep all of those so-called “rules”. I don’t need you to get straight A’s, or to be so smug and self-righteous just because you have never been caught doing the worst thing that you do, or thinking the worst thought you’ve thought. Again, those are all the wrong answers. It’s about the walk. The way that you live your life. When we speak of our “walk”, we mean the people that you choose to follow; we mean those for whom you are looking while you are on the journey. It’s not about trying to collect the right answers – it’s more about learning to ask the right questions. We’ll talk more about those things and that kind of relationship in the weeks to come. For today, let me encourage you to delight yourself in the notion that the Creator of all that is, seen and unseen, comes to you and invites you to order your life according to the covenant that God is offering. Let me encourage you to go a little easier on yourselves and a little easier on each other – so that we all have more energy to grow into those things that God is seeking to do in our lives. Thanks be to God for this amazing gift of covenant. Amen. Baker, Alexander, and Waltke, Obadiah, Jonah, Micah: An Introduction and Commentary (Tyndale Old Testament Commentary Series) InterVarsity Press 1988, p. 138. The fourth Sunday of Advent presented us with the chance to wrestle with some of the most familiar scriptures of this season. What does it mean to say “a virgin will conceive”? We looked at Isaiah 7:10-16 and Matthew 1:18-25. Somewhere in the 8th century BC, Ahaz, the king of Judah, found himself caught between a rock and a hard place. For some reason, there is a bit of a power vacuum in the Middle East. 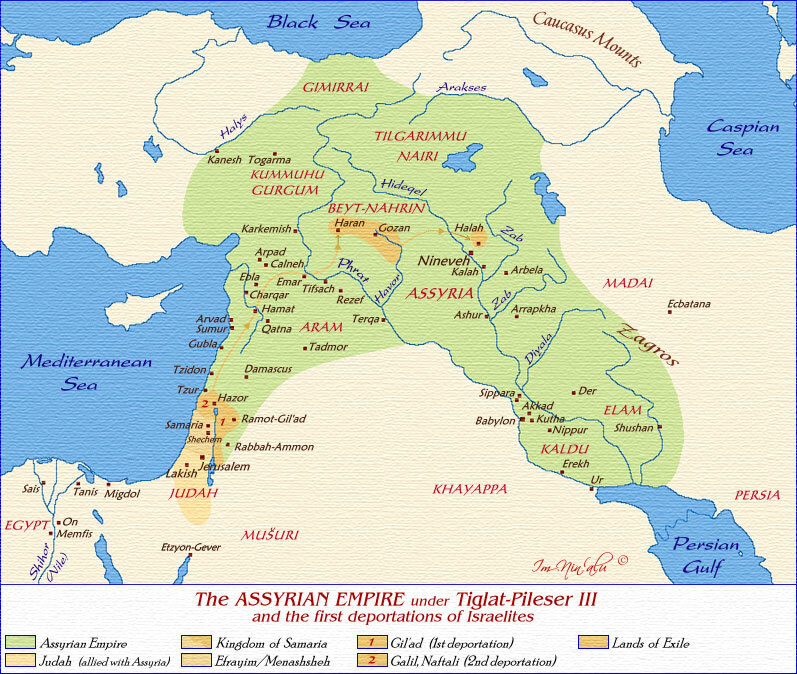 Perennial bullies Egypt and Assyria have their own problems, and that is allowing some of the smaller states to become a little more independent and, in some cases, a little more feisty. Rezin, the king of Syria, checks in with Pekah, the king of Israel, and as they share some tea with hummus, they get to talking about the fact that they’ve never seen Jerusalem and wouldn’t it be nice to go there someday. Since neither of their armies was concerned with fighting Egypt or Assyria, well, why not just take the boys out and conquer Judah while they have a little time on their hands? The beginning of Isaiah 7 tells us that the attack fails, but that these kings begin to lay siege to the city, and Ahaz, the descendant of King David, and in fact all of Judah, are shaking like trees in the forest. Scene II. About eight hundred years later, give or take, there’s a fellow named Joseph. 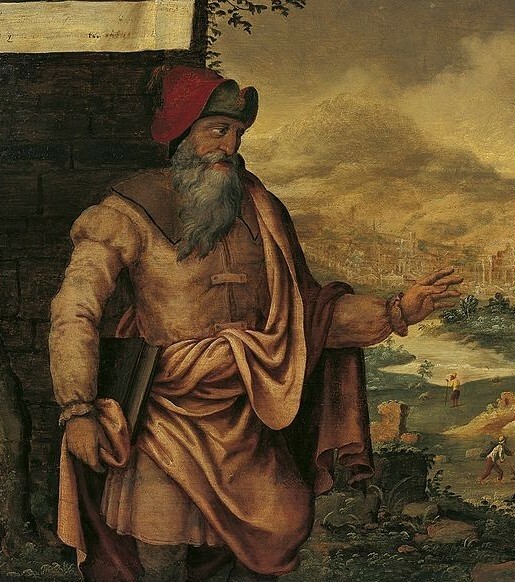 Unlike Ahaz, he is a deeply religious and faithful man. Like Ahaz, he finds himself between a rock and a hard place. Joseph is a mature and God-fearing man. He has become engaged to a young woman who recently revealed the fact that she is unexpectedly pregnant. Joseph doesn’t know everything, but he knows that he had nothing to do with making this baby. He also knows what the Law – the law that he follows, the law that he loves, the law that has shaped him – says. The Law says that those who commit sexual sins should be shamed, driven out of the community, and even stoned to death. If he is to be true to the religion that shaped him, he must facilitate these things. Yet in addition to being a deeply religious and moral man, Joseph is a good man, and he doesn’t want to see Mary shamed, driven out of the community, or stoned. Now let me just pause for a moment and allow this to sink in – that 2000 years ago, there was a conflict, at least in this case, between being a “deeply religious man” and being “a good man”. 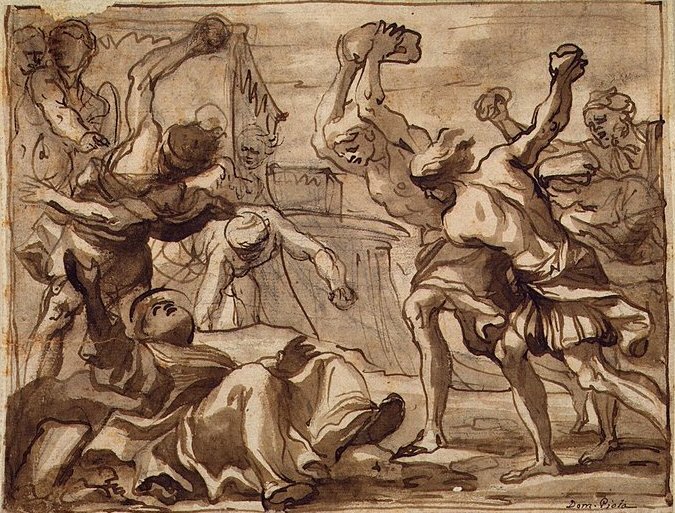 Even then, it would appear, there was a lot of gray space in which God’s people wrestled. And he does. And Jesus is born. Scene III. About seventy years later, give or take, the first generation of people who we know to be “Christians” are dying out. The original twelve apostles, the ones who knew and loved and traveled with and followed and served Jesus, have begun to be killed for their faith. Age is taking its toll. A generation is being born who has never known Jesus in the flesh. And the church looks to its elders and says, “Please, write this stuff down. We can’t forget it.” And so Mark, and then Matthew, and Luke, and John, write their accounts of Jesus’ life and ministry. Are we here to listen to a foretelling of one event by another person, and to marvel at the fact that a specific truth was foreseen hundreds of years previous? To put it another way, is prophecy like a laser beam? A pinprick of light that reaches from one specific point in time to another specific point in time, but is barely visible at any other point along the way? But maybe prophecy is like a search light that illumines the landscape in front of us – the here and now – but also reaches into the future. A light that is visible here, and visible there, but that also helps the folk along the points in between. And maybe – I don’t know, but maybe – somewhere three or four hundred years after that fact, there is another man who is facing a difficult time and he doesn’t know how he can make it, and he comes in from the fields after planting his seeds and wonders if life gets any easier. And maybe that night, his wife tells him that they are expecting a child. And maybe the next day, that peasant farmer goes to the local synagogue and happens to hear the words of Isaiah being read and it occurs to him, “You know, maybe God is with me after all. Maybe I can get through this.” And maybe he does. And maybe Isaiah’s prophecy is illuminating for him. And maybe another four hundred years later, Jesus arrives on the scene, and the people around that story remember what old Isaiah said and it occurs to them that yeah, this really is true. Imanuel. God is with us. The prophecy has been fulfilled. Still. Again. Whatever. I get that. After all, nobody here, so far as I know, is the commander of a city that is currently being besieged by a couple of rival kings. Probably, not even your neighbors are conspiring against you, hoping your house will fall so they can claim your property. And I would doubt that we have anyone in the room who is engaged to a woman who says she’s pregnant, but don’t worry about what people will say because it’s the son of God and these things always have a way of working themselves out. So maybe this scripture is just an old story and doesn’t apply to anyone. Friends, if the Word of God is like a laser that goes from point A to point B, then mostly, well, we’re out of luck. If all the Bible is is a series of little red dots that go from one absolute speaker to another specific situation, well, we’ll know where we’ve screwed up, probably. We’ll know what it feels like to be targeted as those who have fallen short of where we are supposed to be. If we’re lucky, I suppose, there will be a specific scripture that points right to what we need. But mostly, we won’t get much guidance from a laser. But if scripture is more like a floodlight, well, then we can see where God has been. We can see what has happened. We can hope that God knows where we are now. And we can trust that God will be with and for us in the days that are yet to come. December 22. The shortest day of the year. Are you stuck? Feeling like you have no options but bad ones? Then come to the God who gives signs, even to people who say that they don’t want them. Rest in a God who is willing to speak in dreams. If you are fearing the darkness and tired of the cold, then ask God to direct and guide you in this moment. Look in scripture. Approach in prayer. Worship with joy. Work hard to do your best. Rest when you need to. The Good News of Advent is Immanuel. God with us. Immanuel with Isaiah, Ahaz and Hezekiah? You bet. Immanuel with Mary and Joseph, shepherds and wise men? Of course. Immanuel with the earliest Christians who were called into an unknown future? Yes. Immanuel here and now, with you, with me. God with us? Bank on it. Thanks be to God, who has spoken and still speaks, Amen. During the Summer of 2013, God’s people in Crafton Heights will be spending time talking with and listening to some of the members of the Christian Family whose stories and lives remind us about what it means to live faithfully. As described below, I’m calling this series “Faces at the Reunion” because I believe that as our family claims its heritage and gets to know each other, we’ll be stronger for it. 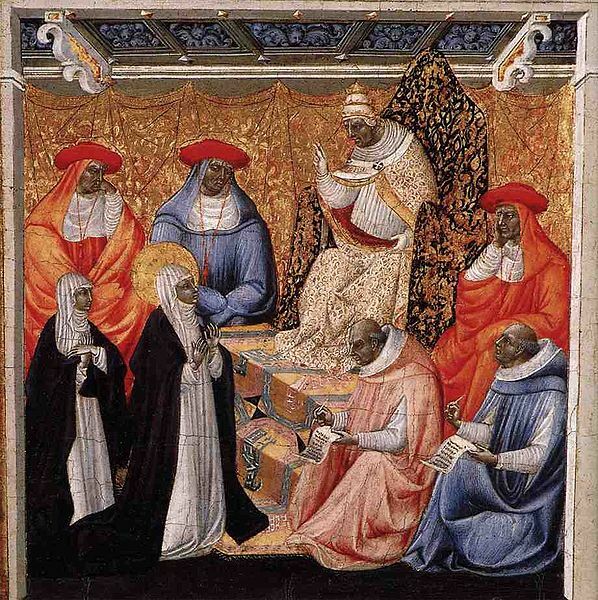 In worship on July 28, we considered Catherine of Siena and her testimony to the world… Our scriptures included 2 Kings 23:1-7 (the story of young King Josiah) and I Timothy 4:4-5, 11-16. 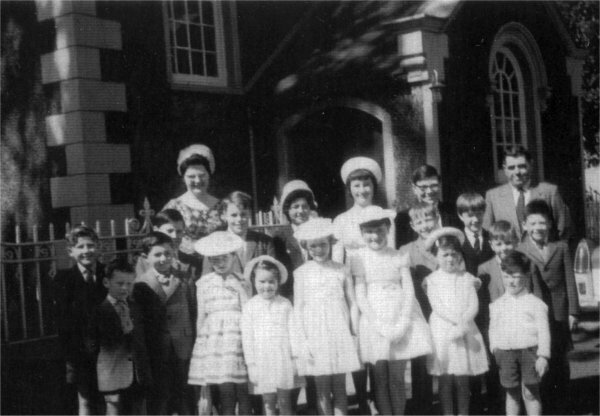 I have absolutely no idea who these people are or where this photo is taken. I don’t know how it was where you lived, but when I was younger, the church was a happening place. 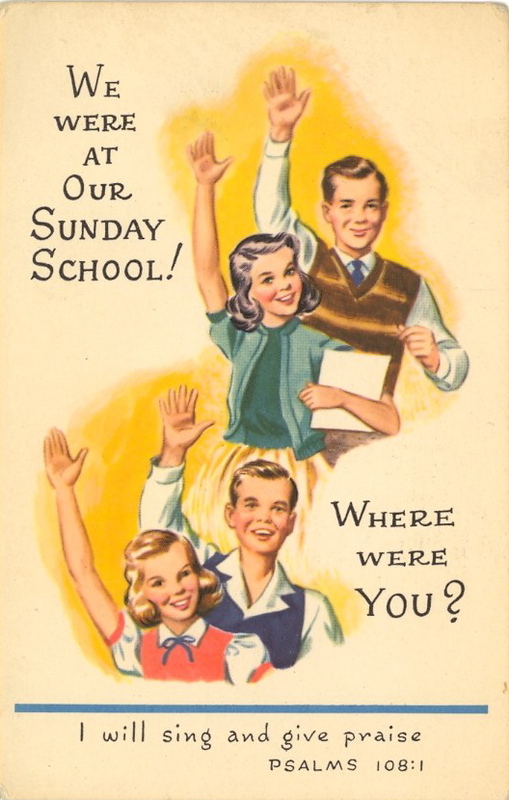 My parents joined a church that was meeting in an old farmhouse located in a growing suburb and within a few years, the church went from that dilapidated old structure to a three-building campus that featured a boatload of Sunday School rooms, a state of the art sanctuary, a highly efficient office, and a lot of smiling, capable, competent people. And every now and then, that church would have a few of us kids get up front during “youth Sunday”. When I was 16, they elected me to be a Deacon. All along the way, I kept hearing one phrase over and over again: “the young people are the future of the church.” That congregation spent a lot of money on childcare, Sunday School, and Youth Group – at every turn, repeating the mantra that if they took care of the kids, good things would happen. And know, beloved, that I am glad that they did this, and that I stand here in some measure because they acted like this. History shows us that that thousands of churches did what my church did in the 1960’s and ‘70’s. Now, listen: I know that church meant that as an affirmation. In telling me that I was the future of the church, I think that they meant to communicate an affirmation and an exhortation to stick with it. But know this: what I heard, frequently, was this: “Some day, son, all this will be yours…” If I continued to sear my clean clothes and speak politely to my elders and be nice to the little kids, then sooner or later, I would inherit the institution. People like me would get control of the mechanism of the church. I could even pick the hymns! Between 1970 and 2000, the number of people living in the USA rose by nearly 40%. 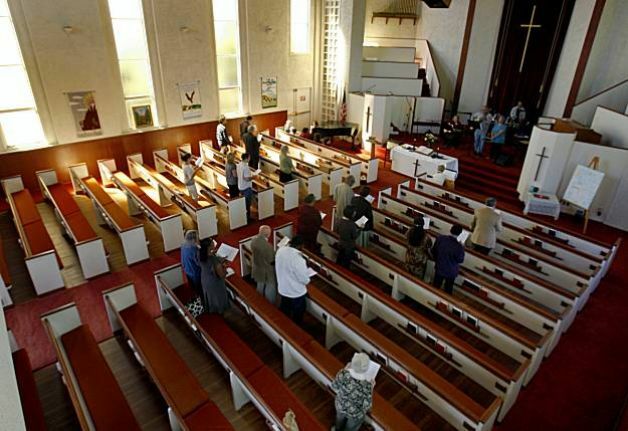 In the same three decades, the so-called “Mainline” churches – like the Presbyterians – lost 14% of their members. Way more people. Way fewer of those people in church. I’m not sure that those people wanted to walk away from God, or from spirituality. But I know that many of the people with whom I grew up were unable to see the connection between church politics and running the institution and the intimacy of a relationship with Jesus. The reality is this: children are not “the church of the future”. Children are included in the church now. The little friends we see in our midst this morning are objects of God’s grace, recipients of God’s mercy, heirs to God’s promises, and called to participate in what God is doing right now. Is there some level of age-appropriateness to which we need to be sensitive? Of course. But children are not to be put on the shelf until they are old enough to matter, mature enough to take over, or holy enough to be trusted. This morning we are continuing our series of messages that I’ve called “Faces at the Reunion”, and this week, I’d like to introduce some of you to one of your older sisters in the faith, a woman named Catherine from the town of Siena in Italy. She was born in March of 1347, the 23rd child of a cloth merchant and his wife. 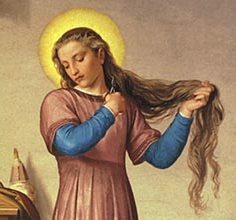 The family was religious, and Catherine had her first experience with Christ when she was five or six years old. By the time she was seven, she had decided that she wanted to devote her whole life to God. Isn’t that cute, when someone says that? No, it’s not cute. It’s awesome is what it is. How do we teach our children to live in that kind of passion? Anyway, when she was sixteen, one of her older sisters died in childbirth and her parents pressed her to marry her brother in law. When she refused, they assigned her management of their entire household – I think that they figured she’d rather just go ahead and marry the brother in law and run that smaller house than be in charge of her parents’ home. She did this for three years, saying that she had “built a cell in her mind” from which she could never flee. She said that she was serving her father as if he were Christ, her mother as if she were the Virgin Mary, and her brothers as if they were the Apostles. By doing so, she said that she taught herself humility and grace. She also, incidentally, outlasted her parents who eventually released her from the pressure to marry. She remained in her parent’s home and gave all of what she had, and a great deal of what they had, to the poor. She had a fascinating ability to see the big picture and the need for the church to be receptive to the Spirit of God while at the same time paying close attention to specific individuals. 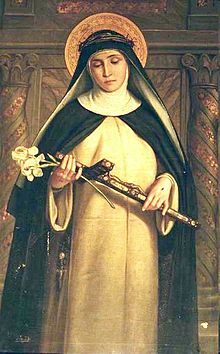 She embraced her mission with all of the energy she brought to her prayer, tackling the sinful clergy person by person, winning them over with the purity of her own life, her direct, firm admonitions and her own extremely magnetic personality. It seemed no one could meet her without falling under the spell of her personal holiness. Priest and bishop would revile her from a distance, then, upon meeting her face to face, fall upon their knees, begging forgiveness and the permission to become her followers. In fact, there are more than 400 letters that she sent still surviving, and they bear witness to her call to personal growth and responsibility as well as the need for the Church to be responsive in the world. And know this well, my friends: those letters changed the world. As I said, Catherine was 23 when she started sending out her correspondence. You might be interested to know that it wasn’t until she was 30 that she learned to read and write. 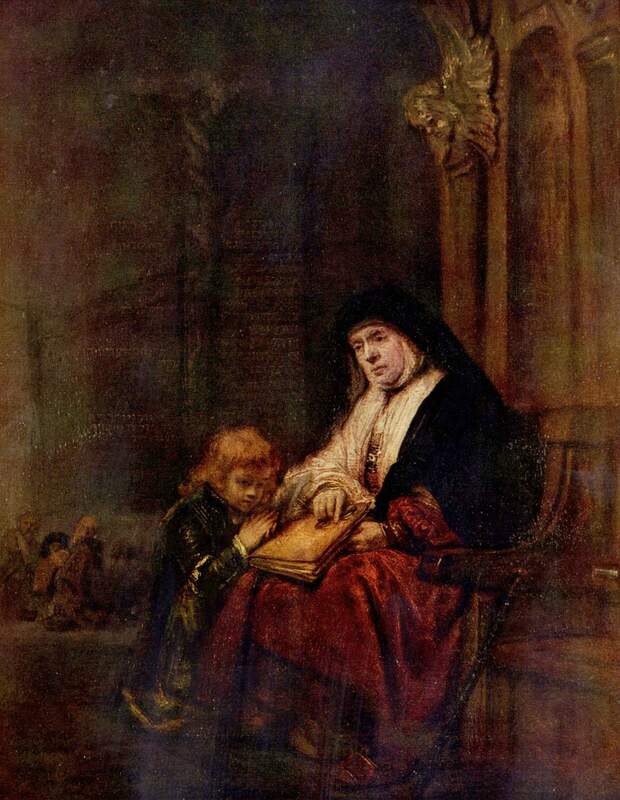 Most of her work was done through dictation – one of the greatest literary minds of the church was illiterate until the last years of her life! As she matured, Catherine had increasing prominence in the church and the world; she was used as a peacemaking ambassador between various congregations and governments; she is credited with persuading Pope Gregory to return to the Vatican in Rome and to take efforts to reform the clergy, and finally, after a prolonged fast led to a series of strokes, she died at age 33. In 1970, she was proclaimed as the first female “Doctor of the Church” in recognition of her leadership and influence. What would it mean if we were all able to take that sentiment to heart? The scriptures this morning afford us examples of young people who clearly lived that way. Josiah was 8 years old when he became king, and in his lifetime he reformed the people of God both through worship life and governing structures. Timothy was only a young man when he met Paul, but he was charged with launching the church in Europe and giving birth to a new generation of Godly leaders. Each of these young men, like their younger sister Catherine, were people who started where they were, used what they had, and lit a fire under the people of God. Do you think…I mean, is it possible…that we could empower our children do this? That if instead of training our kids to be quiet, sit still and wait their turn, we were able to help them see that the world needs them, who they are, and what they can bring, now? The only way that we can do that, beloved, is if we are convinced that the world needs us, who we are, and what we can bring, now. 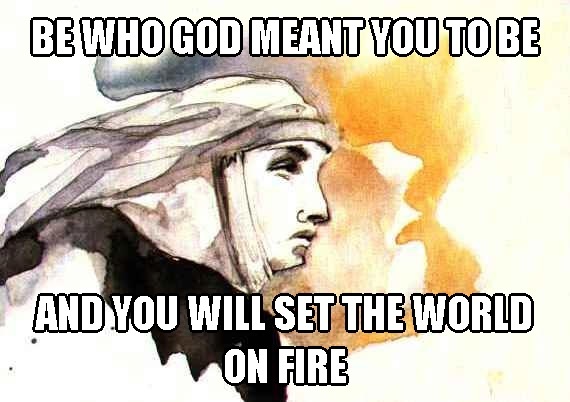 Here is what I’ve learned from Catherine of Siena, and from Josiah, and from Timothy: God is not waiting for perfectly formed, capable, talented, beautiful, equipped people to show up and take charge of running the institution. God is looking for people who will, right now, be who they are. Who will, right now, give what they have. Who will, right now, serve where they are. And who will commit to growing into those places where they are not yet fully mature. In other words, I don’t think that God is waiting for you to get your act together before you try to live a faithful life. I think that God is calling you to be who you are supposed to be, starting today, and trust that tomorrow you can be a little closer to God’s best for your life. What does that look like? It seems to me that the first step is an attentiveness to the Word and Spirit of God. Can we anchor ourselves and our children in the awareness of the truth that God speaks, and that the Bible is a source of life and truth? Can we, no less than Catherine, create a sort of a cell or a sanctuary in our own minds, where we expect to receive direction from God’s Spirit as we wait and watch and serve? Another aspect of this would be a commitment to focusing on who God is and what God can do, rather than being so absorbed in my own limitations and faults. Remember, we’re learning this morning about an illiterate young woman whose letters changed the history of the world. She didn’t refuse to send the letters just because she couldn’t write them herself – she found a way to get the vision she’d been given to the hearts of those to whom God led her. As we anchor ourselves in scripture and trust in God’s provision, we need to bind ourselves to the people of God. Catherine, Josiah, and Timothy all worked to make the community of God a place that was more conducive to mirroring Christ in the world – and they did it by working with others who were committed to the power of God’s spirit. There are a host of amazing and gifted people in this room right now. Some of them are in their 80’s and have wonderful stories to tell about how God has met them in their own lives. Others of them are not yet able to write their own names – but they have already heard that they are fearfully and wonderfully made. Most of us are somewhere in between… Can we accept the fact that we – all of us – are the church for today? And that we – all of us – are called to live plainly and powerfully under God’s spirit, in each other’s company, and to the end that our neighbors are blessed? If we do, I am not sure that we’re going to set the world on fire…but at least our neighbors might smell smoke. Thanks be to God. Amen.